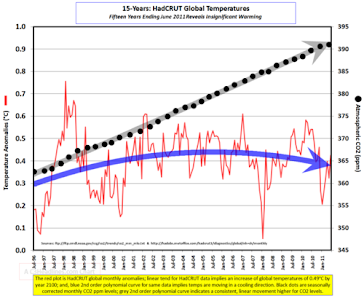 US has had a 12 year cooling trend extropolating to minus 11.03 degrees per century. 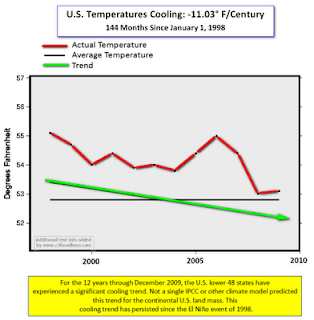 This is not a good time for Obama to push a punitive Carbon tax bill especially after Climategate. 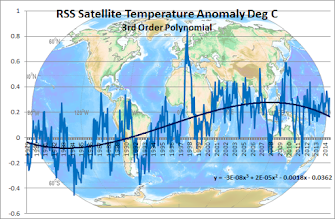 Those climate computer model printouts predicting Armageddon could be sent to Sheryl Crow who is short of toilet paper!